​Toolkits, For Parents and Teachers, Organizing and Training, Books/Videos/Articles. 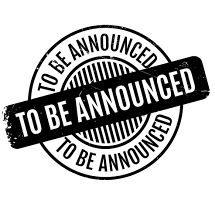 Offered by the Native American Program of Legal Aid Services of Oregon, the Indigenous Ways of Knowing Program at Lewis and Clark, the Western States Center, the Pride Foundation, and Basic Rights Oregon. The nation's first guide for Two Spirit and LGBT equity in Indian Country. 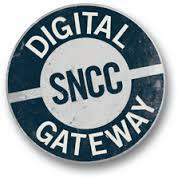 The SNCC Digital Gateway: Learn from the Past, Organize for the Future, Make Democracy Work is a collaborative project of the Student Nonviolent Coordinating Committee Legacy Project, Duke’s Center for Documentary Studies, and Duke University Libraries. 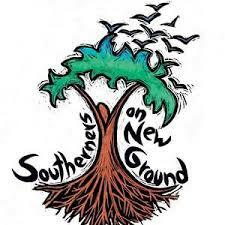 This documentary website tells the story of how young activists in SNCC united with local people in the Deep South to build a grassroots movement for change, portrays how SNCC, alongside thousands of local Black residents, worked for Black people to take control of their political and economic lives, and unveils the inner workings of SNCC as an organization, examining how it coordinated sit-ins and freedom schools, voter registration and economic cooperatives, anti-draft protests and international solidarity struggles. Designed​ to support communities and activists to develop campaigns aimed at transforming the policies and practices of law enforcement. This is a Level 1 toolkit that offers a basic and comprehensive approach to understanding how racism, white supremacy, and racial equity work. The website is an online companion to California Newsreel's 3-part documentary about race in society, science, and technology. The website includes learning activities, including a timeline and other "games" designed to teach about the power of the race construct. Dedicated to all Katrina Survivors and the Grassroots Racial Justice Organizations of New Orleans, the reader was compiled by a team of white anti-racist solidarity activists and is designed to highlight grassroots racial justice organizing and activity in New Orleans and beyond. 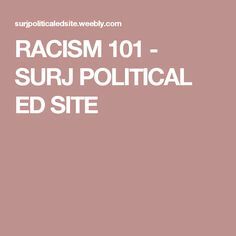 This website sponsored by SURJ is designed to support white people to show up for racial justice. The site includes lots of tips and resources for newly engaging activists. Created in response to the election of Donald Trump, 2017. 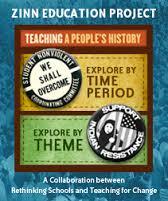 This is the website of Paul Kivel, antiracist educator, writer, and activist. The website offers a wide range of resources, including exercises, tools, articles, videos, and more. This website offers a "rolling bibliography of books that have been helpful for us while we conceptualize and navigate this movement." 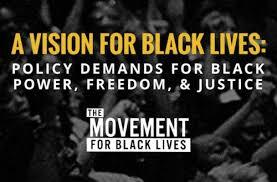 This is the platform of The Movement for Black Lives Matter, with detailed and specific demands in the areas of the war on Black people, reparations, investment and divestment, economic justice, community control, and political power. From the National Immigration Project of the National Lawyers Guild, this is a guide that outlines how to develop a security and defense plan when the government targets people for investigation and prosecution. JuneBaby Restaurant in Seattle has created a southern food glossary. They explain that "Southern food’s humble beginnings embarked when West Africans were taken from their home and were forced across the middle passage to North America. The term soul food originated during American slavery to not only describe a type of cuisine but also a period of time of oppression and overcoming hardships. It is traditionally cooked and eaten by African Americans of the Southern United States and merges influences from West Africa, Western Europe, and North America. As a result, America’s culinary history was built on corn, rice, peas, and the hog; many of the ingredients associated with Southern food. Southern cuisine has always had and continues to have stereotypical connotations. Seen through the eyes of most Americans as inferior, unsophisticated, and unhealthy, Southern food reflects hard times and resourcefulness and is nothing short of beautiful. It is a cuisine to be respected and celebrated." Aimed at educating the public on the great diversity of the Asian American experience. 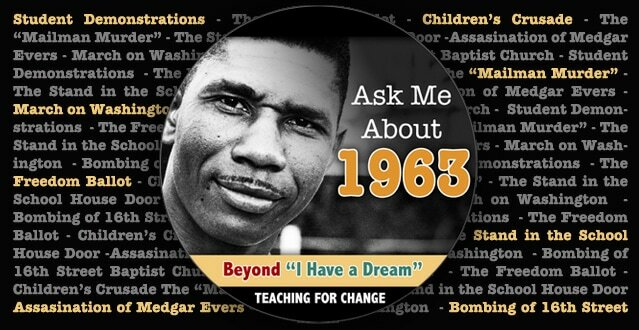 A website that covers the origins, intellect, and breadth of the Civil Rights Movement to inform us in the present day. 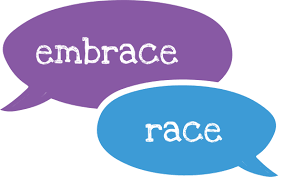 A blog designed to support adults who want to talk about race and racial justice with young children. Building an online community to discuss and share best practices for raising and caring for kids, all kids, in the context of race. An activist publication, with a whole host of articles and resources written by and for teachers wanting to teach a social justice curriculum. Works to end the misuses and flaws of standardized testing and to ensure that evaluation of students, teachers and schools is fair, open, valid and educationally beneficial. 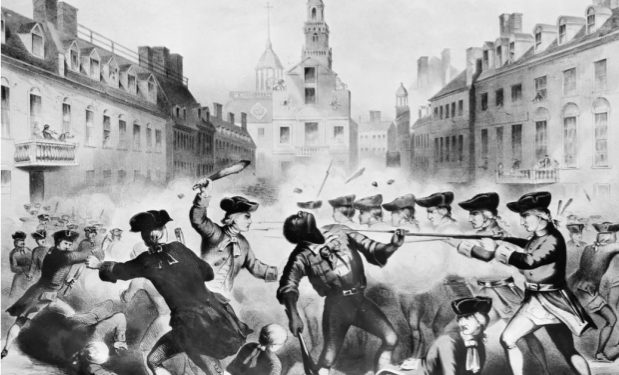 Based on the work of the late historian Howard Zinn (best known for his People's History of the United States), this website offers an accurate, complex, and engaging understanding of U.S. history to teachers and students. critical examination of the failure of urban schools. 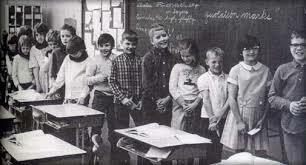 A first hand account of teaching elementary school children to think critically about their world. First person stories about transracial adoption by those directly living it. A source book of curricular frameworks for social justice teaching practice. ​100 Race-Conscious Things You Can Say to Your Child to Advance Racial Justice. By Raising Race Conscious Children. The Color Line. A teaching activity by Bill Bigelow on the countless colonial laws enacted to create division and inequality based on race. From the introduction: The social elites of early America sought to manufacture racial divisions. Men of property and privilege were in the minority; they needed mechanisms to divide people who, in concert, might threaten the status quo. Individuals’ different skin colors were not sufficient to keep these people apart if they came to see their interests in common. Which is not to say that racism was merely a ruling class plot, but as Howard Zinn points out in chapters 2 and 3 of A People’s History of the United States, and as students see in this lesson, some people did indeed set out consciously to promote divisions based on race. 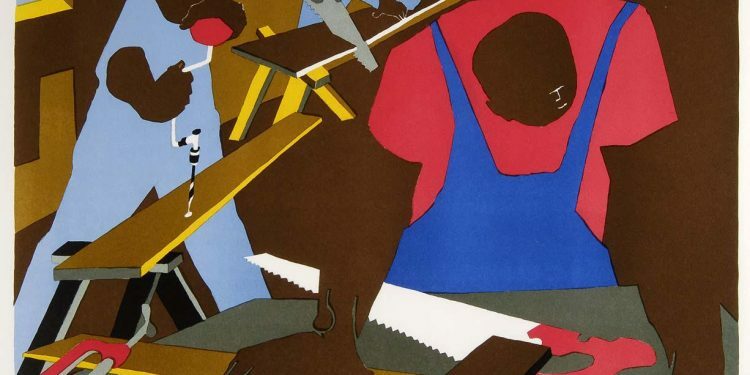 From Jacob Lawrence, Carpenters, 1977. A Class Divided. The day after Martin Luther King, Jr. was killed, Jane Elliott, a teacher in a small town in Iowa tried a daring classroom experiment. She decided to treat children with blue eyes as superior to children with brown eyes. FRONTLINE explores what those children learned about discrimination and how it still affects them today. 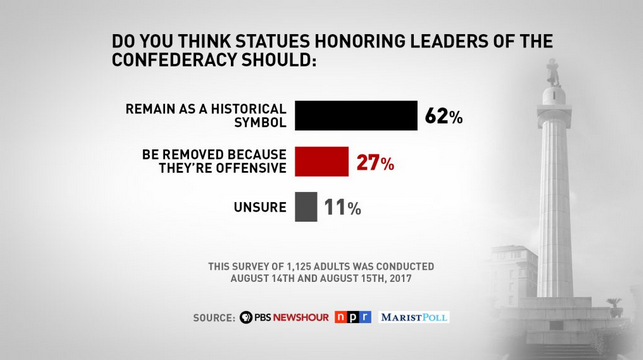 ​A Lesson Plan on Confederate Monuments. This website, organized by Jonathan Milner, offers a large number of lesson plans to tackle issues related to government and politics from a social justice perspective. In addition to a lesson plan on Confederate Monuments, you'll find lessons on Make America ImmiGreat Again (about DACA), the Bill of Rights, Money in Politics, Ferguson, and How Free is Online Speech and many more. ​The #Charlestonsyllabus offers a list of reading that teachers can use to talk about the events of June 17, 2015, when Dylann Roof, a self-proclaimed white supremacist, entered the Charleston Emanuel African Methodist Episcopal Church and killed the pastor and eight parishioners. This syllabus was created by Chad Williams, Associate Professor of African and Afro-American Studies at Brandeis University with the help of other scholars and bloggers. 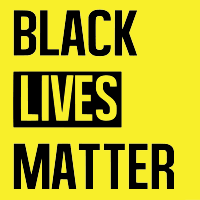 Created in 2012 after Trayvon Martin's murder and rooted in the experiences of Black people in this country who actively resist de-humanization, Black Lives Matter is a call to a world where Black lives are affirmed. Using grassroots organizing, education, advocacy, and media to work for a lasting and just peace that recognizes the rights of both Palestinians and Israelis for security and self-determination. 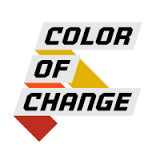 Builds communication capacities among low-income families of color and provides multiple ways to shift public dialogue on local, regional, and national levels. 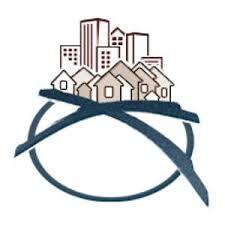 Offers leadership development, people-centered communication tools, education, and civic engagement to build a social movement infrastructure in the U.S. South. Challenges the concentration of wealth and power that corrupts democracy, deepens the racial divide, and tears communities apart. Uses popular economics education, trainings, and communication to support social movements working for a sustainable and equitable economy. A center for political education and movement building based in the San Francisco Bay area; committed to anti-racist work with the goal of deepening anti-racist commitment in white communities and building multiracial movements for liberation. Addresses the leadership and organization development needs of nonprofits and other social change agents seeking to be the change they seek in the world. An alliance of trainers and organizers devoted to the work of anti-racist transformation. AORTA is a worker-owned cooperative devoted to strengthening movements for social justice and a solidarity economy through education, training, and planning. AORTA bases their work on an intersectional approach grounded in the belief that true change requires uprooting all systems of oppression. advances racial justice through research, media, and practice. 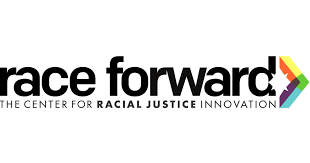 Race Forward publishes the daily news site Colorlines and hosts Facing Race, the country’s largest multiracial conference on racial justice. ​offers a radical vision for social movement philanthropy, including accountability to racially just grant-making practices. Working to dismantle systemic racism and build antiracist multicultural diversity within institutions and communities. A network of anti-racism groups and activities based in the North Carolina Triangle area coming together to continue developing awareness about how racism lives in us and our institutions in order to create strong, organized, and clear efforts to dismantle racism. A regional Queer Liberation organization that embodies the best of the South's freedom traditions and works towards the transformation of our economic, social, spiritual, and political relationships. SONG envisions a multi-issue southern justice movement that unites us across class, age, race, ability, gender, immigration status, and sexuality. 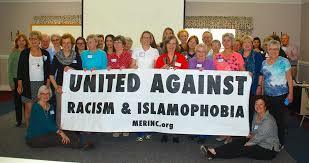 MERI is a network of North Carolina organizations with a mission to end racism and Islamophobia by building a movement that challenges all forms of oppression. Serves as a catalyst for grassroots organizing and movement building in Appalachia and the South. A national network of groups and individuals organizing white people to show up for racial justice through community organizing, mobilizing, and education. Advances equity and eliminates disparities through a wholistic approach focused on raising consciousness and building tools that equip individuals, schools and organizations to build more inclusive environments and advance equity within their institutions and communities. Designs campaigns powerful enough to end practices that unfairly hold Black people back and champions solutions that move us all forward. Until justice is real. 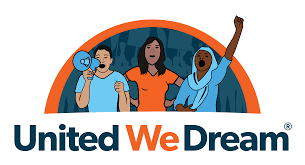 The largest immigrant youth-led organization in the nation; a powerful nonpartisan network made up of over 100,000 immigrant youth and allies and 55 affiliate organizations in 26 states. Organizes and advocates for the dignity and fair treatment of immigrant youth and families, regardless of immigration status. Love While Challenging Racist Behavior. By Ana Perez. Staying off the Megaphone and in the Movement: Cultivating Solidarity and Contesting Authority Among White Antiracist Activists. By Amie Thurber, Kelley Frances Fenelong, and Leah Marion Roberts. Social Justice Primers - a list of 9 books that are essential reading for social justice activists. Bustle offers 18 Books Every White Ally Should Read. Native American Heritage Reading Recommendations. The Emperor Has No Clothes: Teaching About Race and Racism captures the learning of the many years of experience of dRworks in facilitating race equity work. ​Uprooting Racism: How White People Can Work for Racial Justice by Paul Kivel. Offers a framework for understanding institutional racism and provides practical suggestions, tools, and advice for how white people can show up for racial justice. 4th Edition. Seeing White - a 14-part documentary series that explores where "whiteness" came from, what it means and what it is for. Produced by John Biewen with regular guest Dr. Chenjerai Kumanyika. 2017. Angela Davis from Black Power Mixtape. Your Black Friend - written and narrated by Ben Passmore. Alicia Rodríguez, a former political prisoner who has been part of the Puerto Rican independence movement for the last 40 years, Corrina Gould, Ohlone leader currently leading the fight to save the West Berkeley Shellmound and return sacred land to native stewardship, and Lara Kiswani, Director of the Arab Resource and Organizing Center speak at a panel on Colonization and Resistance organized by the Anne Braden program of The Catalyst Project. Ash-Lee Woodard Henderson, Co-Executive Director of Highlander Center, Pierre Labossiere, co-founder of Haiti Action Committee, and Kamau Walton, Communications Associate at the Transgender, Gender-variant & Intersex Justice Project (TGIJP) talk about Black Liberation Across Geographies at a panel organized by the Anne Braden program of The Catalyst Project. Harvest of Dignity features stories about farmworker families and their struggles. Just 13 and Working Risky 12-Hours Shifts in the Tobacco Fields. By Steven Greenhouse. ​My Immigration Story: The story of U.S. immigrants in their own words. ​A Reflection on My Non/Asian American Life. By Alison Roh Park. America has locked up so many Black people it has warped our sense of reality. By Jeff Guo. Annotated Bibliography on Structural Racism Present in the U.S. Food System. 2017. ​Beyond the Model Minority Myth. By Jennifer Pan. ​Blackness is the Fulcrum. By Scot Nakagawa. 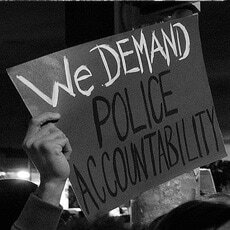 Criminalizing the hustle: Policing poor people's survival strategies from Eric Garner to Alton Sterling. By Daniel Denvir. 11 Ways White America Avoids Taking Responsibility for Its Racism. By Robin DiAngelo. Extensive Data Shows Punishing Reach of Racism for Black Boys. By Emily Badger, Claire Cain Miller, Adam Pearce and Kevin Quealy in The Upshot. Face the Racist Nation. This audio program takes a deep dive into what the news media often get wrong about white supremacists and what those errors expose about the broader challenge of confronting racism. The Far Right's Toxic Forbearts: Super-Wealthy Secessionist Slaveholders. By James Brewer Stewart at The History News Network. Frederick Douglass On How Slave Owners Used Food as a Weapon of Control. By Nina Martyris. How a Half Century of Redlining Successfully Segregated American Neighborhoods. By Ofo Ezeugwu. Is Reverse Racism a Thing? The Root. Mapping Inequality: Redlining in New Deal America. Access to collection of maps used by the Home Owners' Loan Corporation to racially color code credit worthiness. What's Killing America's Black Infants: Racism is fueling a national health crisis. By Zoe Carpenter. 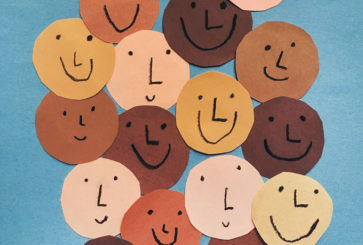 Why the Myth of Meritocracy Hurts Kids of Color. By Melinda Anderson in The Atlantic. Why White Parents Won't Choose Black Schools. By Abby Norman. Alternate Conversations for Creating Whole-System Change Around Diversity and Inclusion. 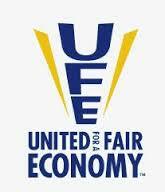 By Frank D. Golom, AAUCU (Association of American Colleges & Universities). 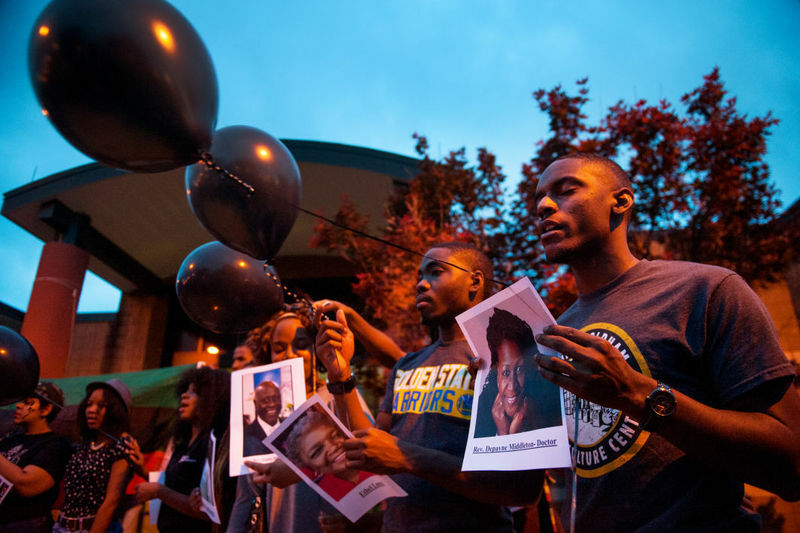 ​Black Study, Black Struggle. By Robin D. G. Kelley. Coming Back to Black Life. By Ratasha Elise. Decolonizing the Sacred. By Lily Oster. Do You Prefer 'Native American' or 'American Indian'? 6 Prominent Voices Respond. By Amanda Blackhorse. Do's and Don'ts for Bystander Intervention. By American Friends Service Committee. 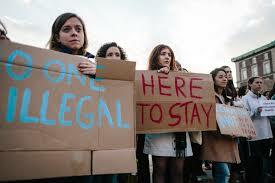 Don't Get Your Undocumented Friends in Trouble: A How-To. By Felicia Jarvis. 15 Ways to Strengthen Anti-Racist Practice. By Catalyst Project. 5 Ways to Fight ICE Raids With Power, Not Panic. By California Immigrant Youth Justice Alliance. The Ground on Which We Stand: (Re)membering the Combahee River Collective. By Frank Leon Roberts. Here are the Demands from Students Protesting Racism at 51 Colleges. By Leah Libresco. How to Talk about #NoDAPL - North Dakota Pipeline: A Native Perspective. By Kelly Hayes. Opportunities for White People in the Fight for Racial Justice. Moving from Actor to Ally to Accomplice. The Right Heart is More Important than the Right Analysis in Fighting Racism. By Chris Crass. 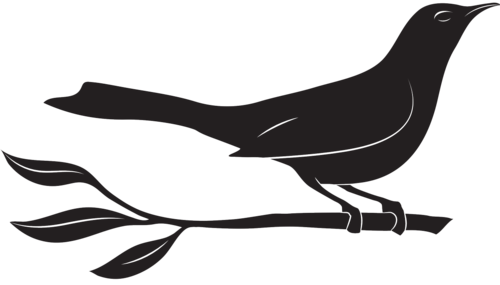 Toward Movement Grace: Criticism, Self-Criticism and the Wisdom of Silence. From Higher Ground. Towards Decolonization and Settler Responsibility: Reflections on a Decade of Indigenous Solidarity Organizing. By Liza Minno Bloom & Berkley Carnine. Transcript of New Orleans Mayor Landrieu's Address on The Removal of Confederate Monuments. A short comic gives the simplest, most perfect explanation of privilege I've ever seen. By Laura Willard. At-Risk: Who Will Save Our Rich White Boys? By Abraham Lateiner. At Yale, We Conducted an Experiment to Turn Conservatives into Liberals. By John Bargh in The Washington Post. Dear White People/Queridos Gringos: You Want Our Culture But You Don't Want Us - Stop Colonizing The Day Of The Dead. By Aya de Leon. 5 Things White Women Do That Black Women Can't Get Away With. By A. Moore. Micro-aggressions, Unpacking privilege, and the Knee Jerk Response. Ello's World. 7 Things Black People Want Their Well Meaning White Friends to Know. Erin Canty. Upworth. 9 Things Phrases Allies Can Say When Called Out Instead of Getting Defensive. By Sam Dylan Finch in Everyday Feminism. 100 Ways White People Can Make Life Less Frustrating for People of Color. By Keseina Boom in Broadly. 10 Common Things Well-Intentioned Allies Do That Are Actually Counterproductive. By Cody Charles. Turning the Lens: Seeing White. A series of podcasts exploring what it means to be white. By John Biewen with special guest Chenjerai Kumanyika. Robin DiAngelo's classic article on White Fragility (scholarly version). For a more popular version, go here. White People Explain Why They Feel Oppressed. By Touré in Vice Channels. ​Whites and the Fear Caused by White Supremacy. By Rev. 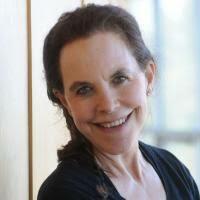 Dr. Susan K. Smith.